Montreal is a hub of international activity. Walk around the city and you'll hear a multitude of different languages and accents, and see people of all shapes, sizes, and skin types. It's one of the reasons I absolutely love the place. 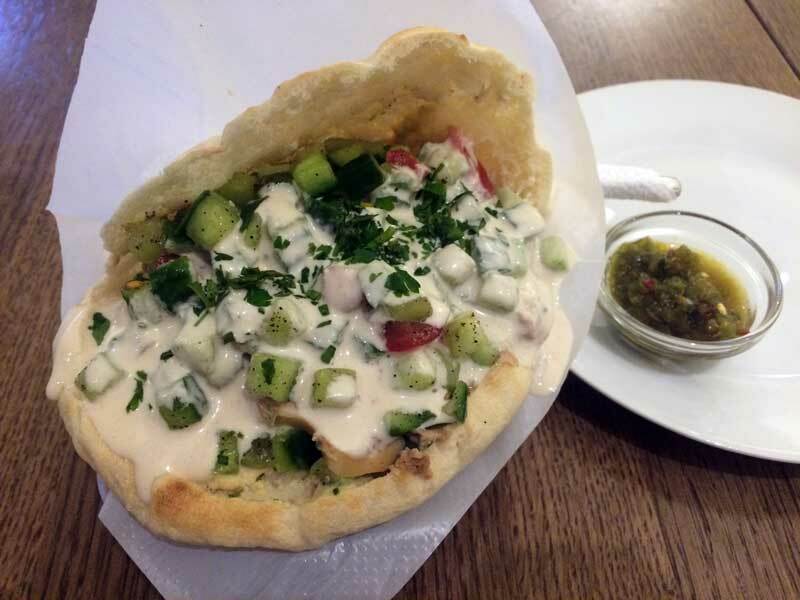 One of the great benefits of this diversity is the availability of amazing and affordable food with origins from around the globe, particularly from Latin America and various parts of Asia. 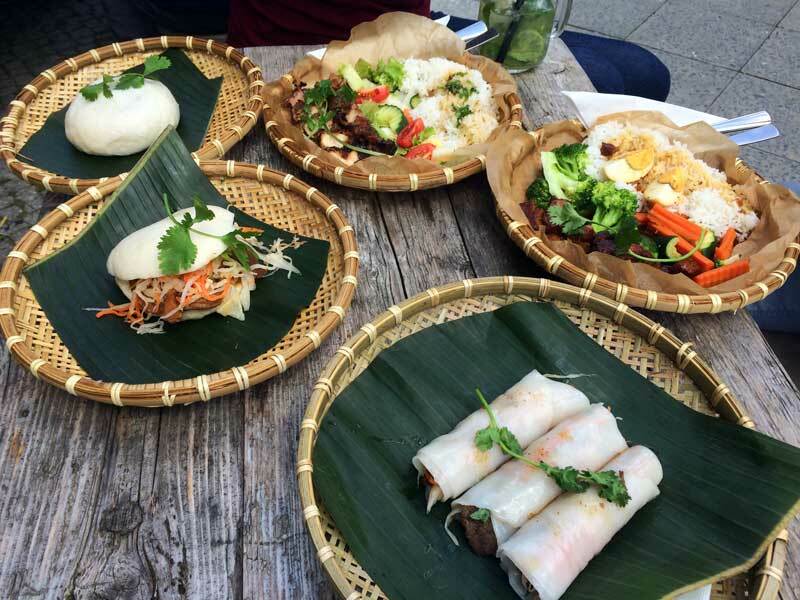 Below are my absolute spots in town for cuisines you'd normally have to jump on a plane to find. They're guaranteed to blow your mind, but not your budget. The Brazil national dish of Feijoada. Slow stewed pork and beans, with cassava, rice, orange, and salad. I make grunting noise while eating. This Brazilian restaurant and bakery is absolutely fantastic. It's a family business, with the lovely Bahia-raised mother in the kitchen, and the Rio-raised son up front doing the service. She pumps out absolutely mind blowingly good dishes, and he keeps you laughing the whole night. He's honestly the most entertaining, educational, friendly host I have ever had. 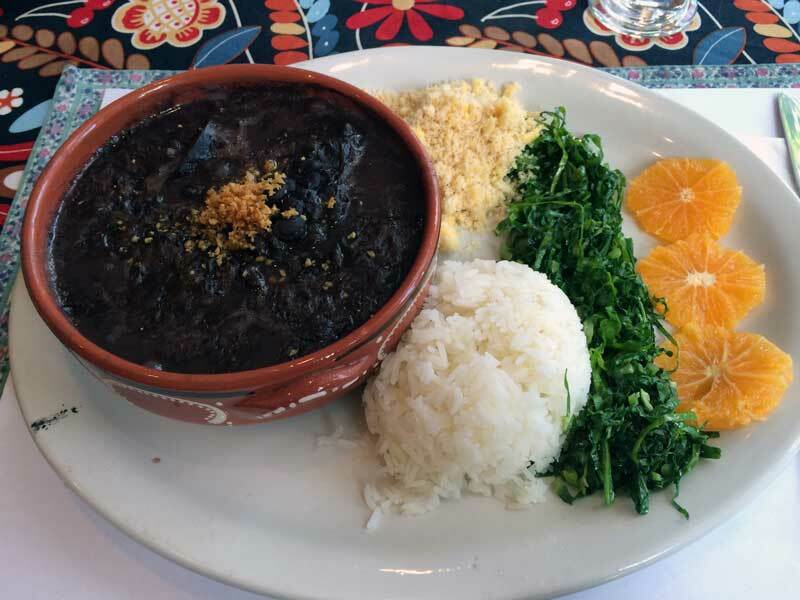 Brazil's national dish, Feijoada, is absolutely stunning here. Feijoada is thick pork/beef, black bean, and vegetable stew cooked for hours and hours. Not only is the meat "fall-of-the-bone" tender! It's served with rice, cassava, orange (for digestion), and a hot salad. It is honestly one of the greatest things I've eaten. The Ximxim de poulet is one of the few rivals to that title, however, a coconut chicken dish from the region of Bahia. It's an incredibly difficult decision for me. Bring a friend, order both, and share. Also the drinks are definitely worth your while. This is one of my favourite joints in Montreal. Not only does it have fresh, delicious food at extremely reasonable prices, but I love the place's charm. This Mile-End joint is 100% owned and operated by one guy, Siro. He creates the menu and sources the ingredients locally each morning from the Jean Talon Market. He greets you when you arrive, serves and entertains you throughout the evening, and cooks your food exactly how you want it. He's an absolute pleasure. The portion sizes are extremely generous, and often results in taking home leftovers for lunch the next day. On top of that he offers a three course menu of salad/soup, main, and dessert (each with several options) for $15. And these mains include expensive ingredients like pheasant, beef hearts, prime cuts of meat, and more. It's incredibly hard to find fault in this place, so go enjoy. Montreal also has quite a few options when it comes to Venezuelan food, and there's no finer than Arepera. It's named after its speciality, the delicious and versatile arepa, a corn-flour flatbread. 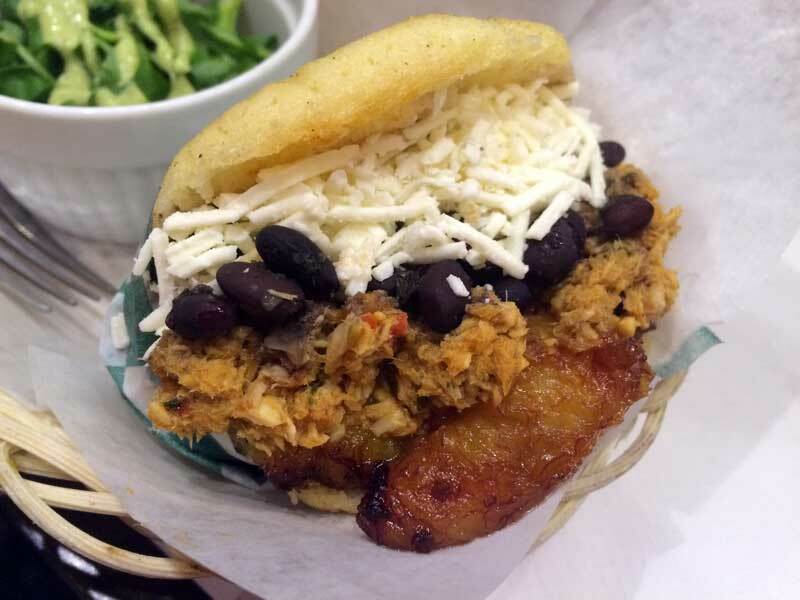 An arepa is often eaten as an accompaniment to a meal, or stuffed full with delicious Latin American favourites. The most classic version is the Pabellon, which contains the sumptuous "carne mechada," slow-stewed and shredded beef in a tomato sauce. It's tender and juicy. Then they add in feta cheese, black beans, and fried plantains. 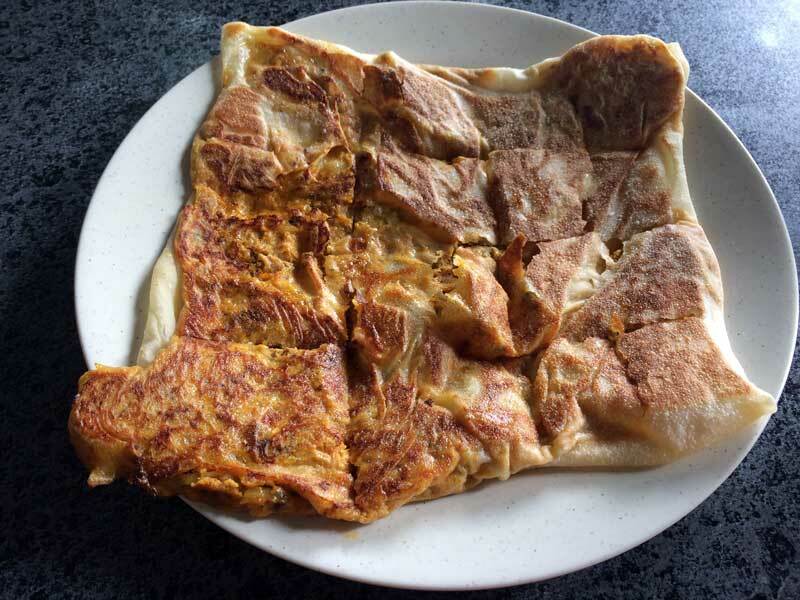 It's Venezuela in one bite. Oh, and you get a salad on the side. It also has amazing other options including chicken in avocado sauce, pulled pork, vegetarian options, and even stewed shark. If you want something other than a sandwich, you can get a heaping plate of black beans, rice, fried plantains, cheese, and a meat of your choice. I also recommend a side of cassava sticks and avocado hot sauce. Oh and the live Venezuelan music and the Spanish being shouted by the staff will help transport you to a land far away. Ta Chido is quirky as it is small. This Mexican joint in Mile-End has its walls plastered with crazy Mexican-inspired artwork, with an ecclectic mix of action figures littered about. The place specializes in "torta," Mexican-style submarine sandwiches, served in homemade bread and filled with delicious meats, veg, beans, cheese, avocado, and mayo. My personal favourite is the classic "mole" featuring the classic chocolate-based savoury sauce, sour cream, feta cheese, and avocado. Not feeling like a torta? Then they've got you covered with quesdilla. Want anything more than that? Well, guess you'll have to go somewhere else. These guys do only a couple things and do them very well. If you've never been to a hibachi-style restaurant before, then it's about time you've had this excellent experience. Hibachi restaurants have you sitting directly around your chef's cooking surface with your fellow eaters. You order a set meal including several courses of vegetables and meat, all of which are cooked directly in front of you on a large, flat cooking surface. The chef will keep you entertained and dazzled with his expert and fanciful knife and grill skills. Perfect to go with a group of friends as its an excellent dinner and a show in a lively environment. If you're by yourself it's also a great way to meet other people since you're sharing a table and have a convenient ice breaker. Choose your preferred meat, whether it's beef, chicken, lobster, scallops, or a combination of a few, and then let the show begin. I spent a few months in India, and nothing scratches my itch for the flavours and smells of that crazy sub-continent better than Thali. 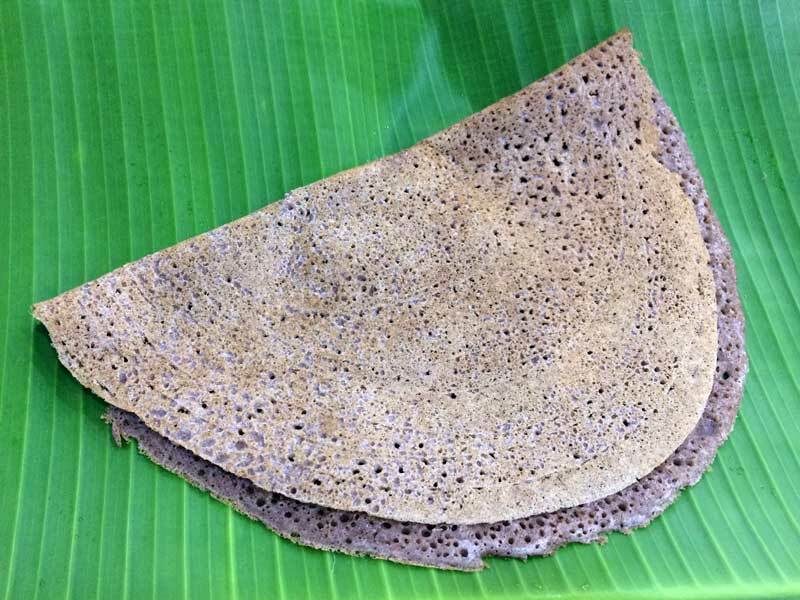 A small, simple, counter-style eatery that specializes in thalis–a traditionally lunch meal of heaping quantities of naan, rice, salad, pappadams, and three curries. Unfortunately you're left with an incredibly tough decision, which of the dozen curries will you take. 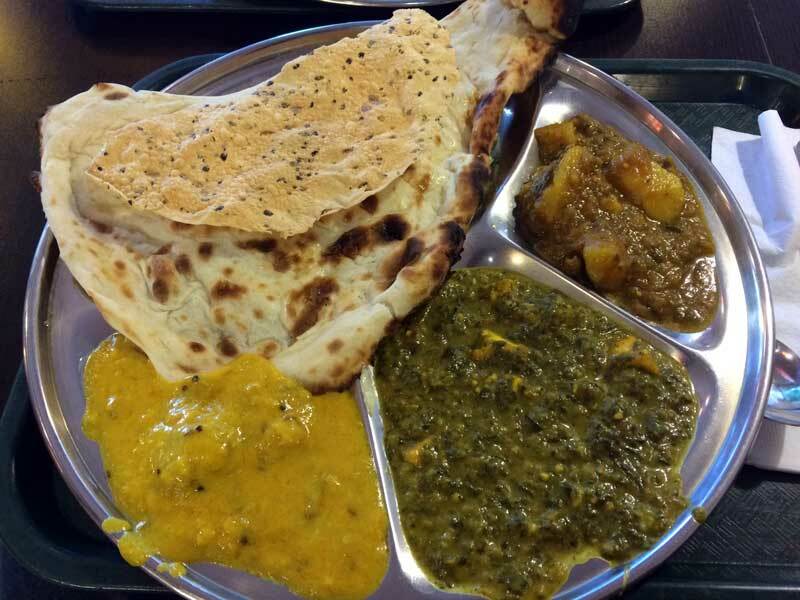 They have favourites like butter chicken, aloo gobi, palak paneer, chana masala, and beef curry. The naan is fresh and doughy. The curries flavourful and spicy. The prices incredibly reasonable. And of course, you can always supplement your meal with a mango lassi (yoghurt drink), samosas, and even the powerfully sweet Indian desserts like the timbitesque dough ball suspended in a sugar sauce, Gulab Jumm. Come and enjoy the flavours of India, day or night. 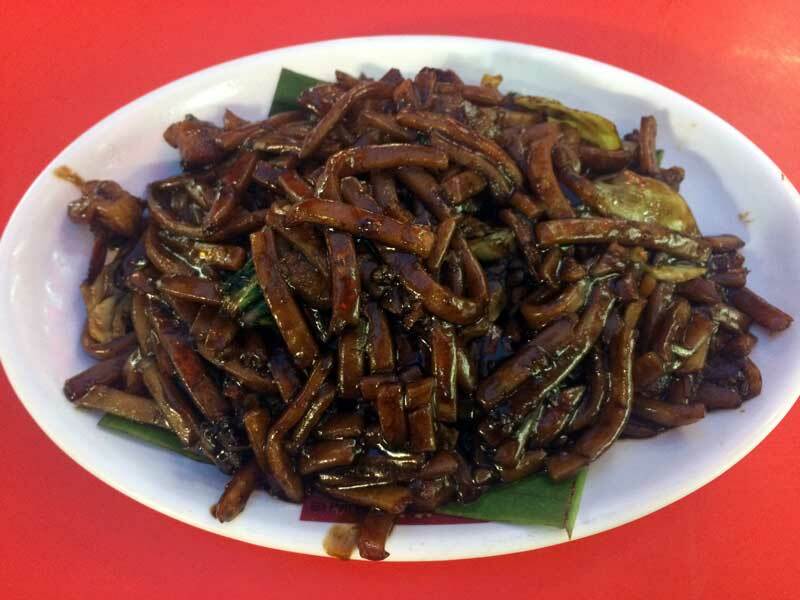 Chaw Kok is a truly unique concept. This truly authentic Thai restaurant isn't really a restaurant at all. It's a Thai guy with a Facebook account who takes orders by phone and sends out a bike delivery person to pedal his delicious Thai delights straight to your door. The menu is ever changing, and can be found out by calling him up and asking him. He generally has a few different mains on at once, generally a few salads, curries, soups, and there's always at least one vegetarian option, and a dessert. It's a pretty cool experience, and the food is deliciously Thai. Ganadara is one of the only Korean joints in town that is actually owned and operated by a Korean family. In its earlier days it had an interesting mix of cutesy designs (almost Hello Kitty), with a barely-translated menu sprawled on a chalkboard, and it served ramen (the house speciality) in the metal pot it was cooked in. Over the years they renovated the place and gave it a classier decor, an actual menu card you can read, and plates. Whether it's an improvement, who knows. 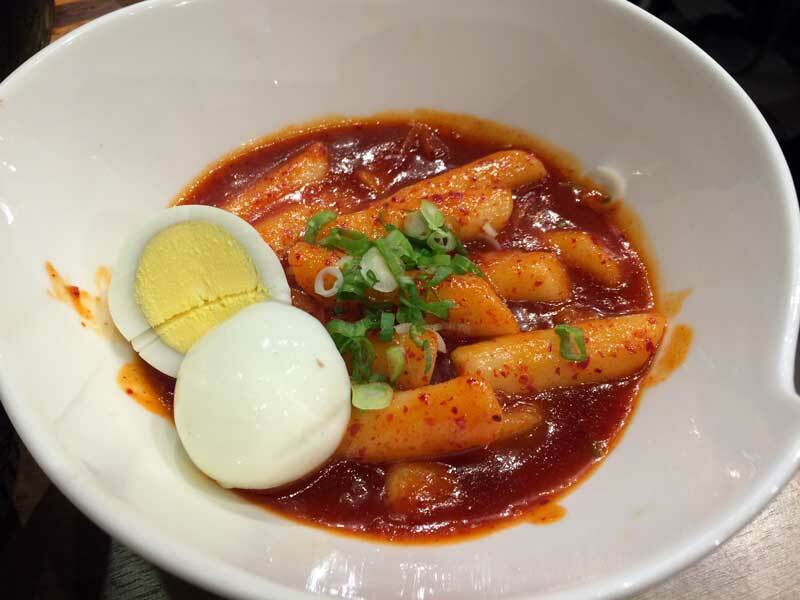 This place serves all the Korean favourites: ramen, kimbap (Korean sushi), Tteok Bokki (Korea's national street food), bibimbap, korean stews, and various fried starters. Being a traditionally Korean joint, you get metal chopsticks, a spoon, and the obligatory side dish of kimchi. This place is always busy, mostly with the local Asian community, most of them being Korean—so it's legit. 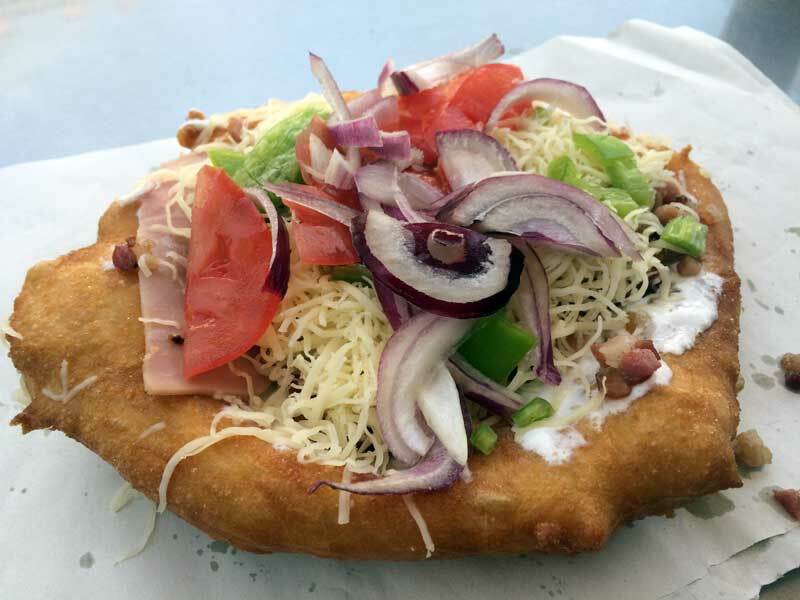 So there's my list of Montreal's best ethnic eats. Now do yourself the immense favour of going out and trying them all, and then start looking up other places to check out. I know this list isn't fully completely since I'm missing Lebanese places (I've heard Kazamaza is amazing), but I'm only one man so I don't know them all. If you have ones that make your head explode, let us know about them in the comments below! 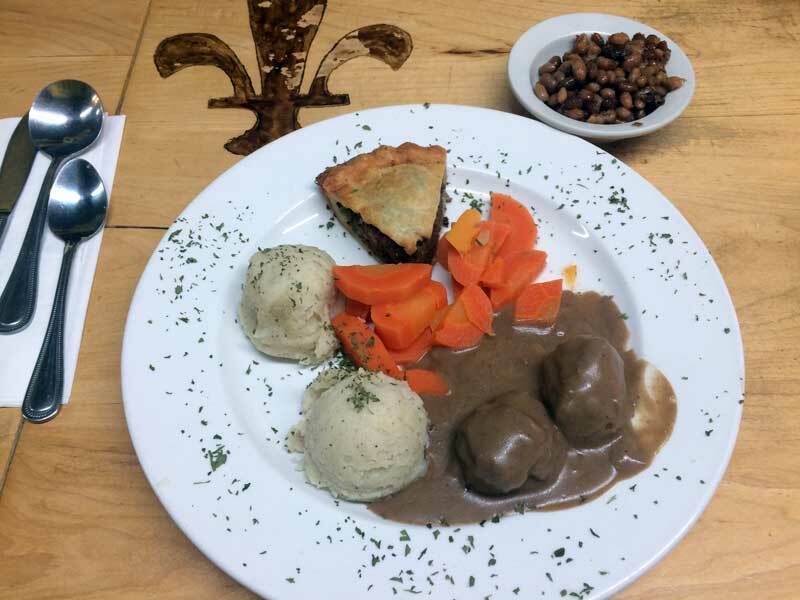 If you're looking for must eat food that is unique to Montreal, or are vegetarian, check out my other articles Montreal's Must Eats and Montreal's Vegetarian Must Eats. Enjoy! Want to receive my blog updates? Thanks for subscribing, you're going to love what you read.